We are proud to inform that all our products have been granted international certificates and Type Approvals required in the EU. The evaluation was carried out by Automotive Industry Institute. Type-approval tests for conformity with UN ECE Regulations and with EU directives applicable to automotive products were carried out by Automotive Industry Institute. 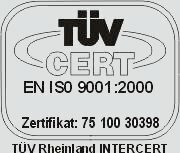 Type Approval guarantees highest safety standards required for automotive products. We conform to ISO Standards regarding the process of design, production, sale and servicing of electronic and electromechanical appliances.